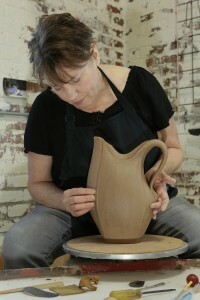 After twenty five years working as a studio potter I made a major shift in my professional career in clay. In 2011, my husband George and I embarked on one of the biggest projects of our lives. We have changed up almost everything. I longer work in solitude in my home based studio. Together we founded a creative community and education center in Asheville, NC., The Village Potters Clay Center. It has proven to be the perfect name because The Village has a life of it’s own. Every day is filled with creativity, diversity and life. This community of Potters and our friends who love pottery, make The Village something very unique and special. We have renovated 14,000 square feet of raw warehouse space into a beautiful facility including six permanent resident working studios, 14 kilns, 4 showrooms, a unique education center specializing in advanced studies in ceramic art, incubator studios for graduates and a clay supply company providing the nations premier clays for the professional potter.. We also offer beginning, intermediate and advanced classes in 2 classrooms for residents here in WNC. Our Advanced Studies program is unique in the nation. 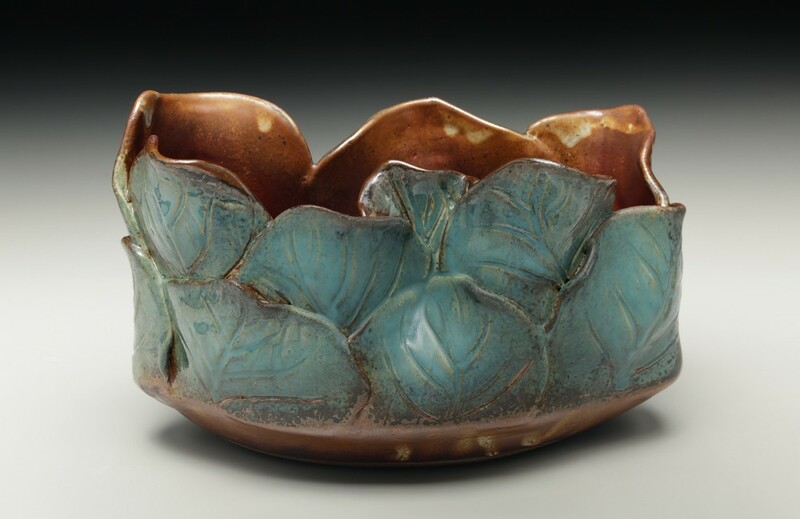 Based on an Independent and self guided approach much like a University Masters program, I along with 2 other potters, Judi Harwood and Lori Theriault, mentor, encourage, teach and guide the emerging potters, sculptors and hand builders who desire to push the boundaries of their work while discovering their unique body of work. We are a glorious collective of 6 resident ceramic artists/ potters, 6 apprentices, approximately 50 community students and 28 interns. We are fully committed to each other personally, creatively, and we desire to see each other’s success to the full. My career in clay has been amazingly blessed. Now to be able to give back, teach and share feels like the natural trajectory in my journey with clay. It is my delight to be part of the greater artist community in The River Arts District of Asheville, NC. I remain grateful that I can continue to make pots for people of all walks of life with very different home and work environments. Thank you collectors, clay lovers, gallery owners, and all who have purchased my work for 30 years now and support The Village Potters Clay Center!